The search for the next batch of Metrobank Foundation Outstanding Filipinos begins as top officials from the Department of Education (DepEd), Philippine National Police (PNP), Armed Forces of the Philippines (AFP), Metrobank Foundation, Inc. (MBFI) and program partners from Philippine Savings Bank (PSBank), Rotary Club of New Manila East, and Rotary Club of Makati Metro gather in a historic ceremony on November 16, 2018 at the Bulwagan ng Karunungan, Department of Education Central Office, Pasig City. Present during the launch were: DepEd secretary Leonor Magtolis-Briones, AFP Chief of Staff General Carlito Galvez, Jr., PNP Chief Directorial Staff Camilo Pancratius Cascolan (representing PNP Chief Police Director General Oscar Albayalde) and MBFI president Aniceto Sobrepeña. 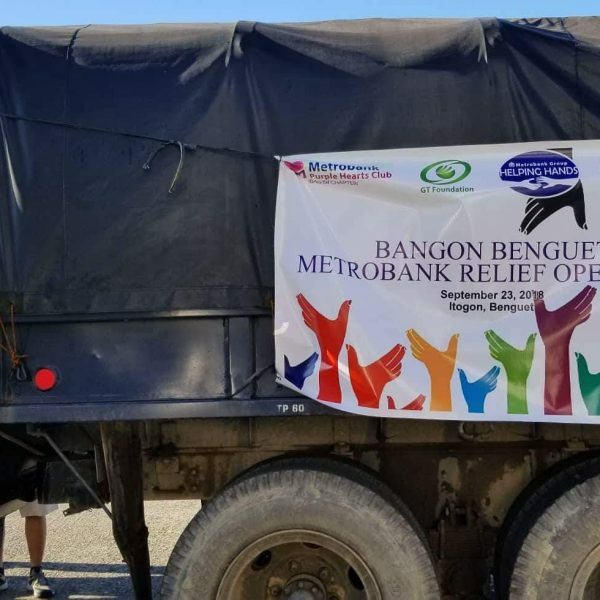 They were joined by PSBank Senior vice president Perfecto Dimayuga, Jr., Rotary Club of Makati Metro vice president Miguel Leogardo and Rotary Club of New Manila East president John Paul Montero. 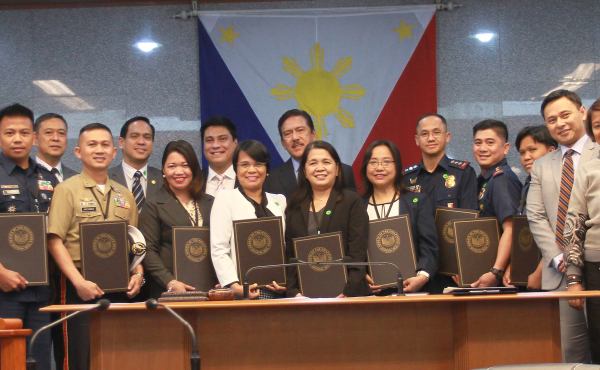 To mark the occasion, a ceremonial signing of a pledge of commitment was held to signify unity among these institutions in fostering service excellence. 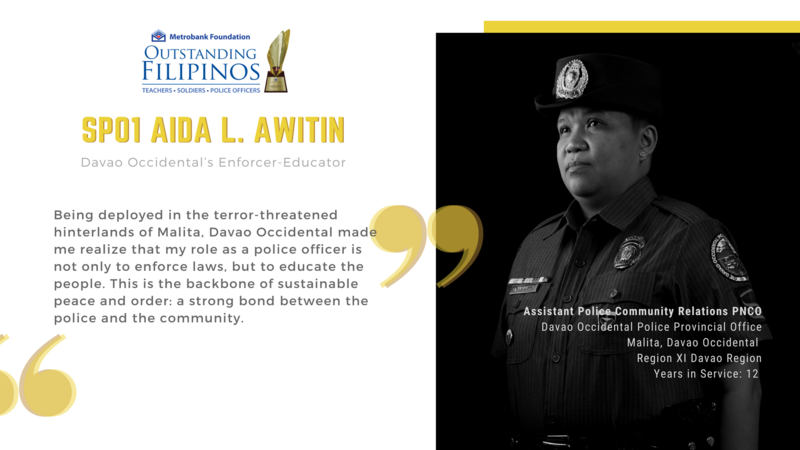 As a prestigious career-service award for Filipino exemplars in the academe, military, and police sectors—4 teachers, 3 soldiers, and 3 police officers will be recognized. 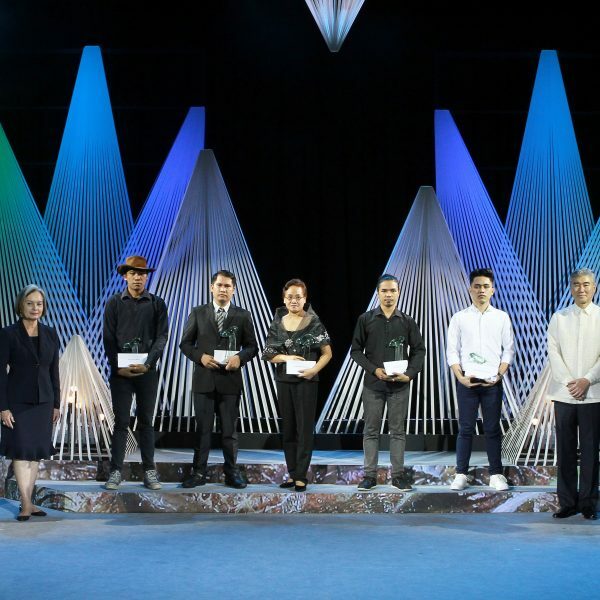 Each awardee will receive a cash prize of P1 million, a gold medallion, and The Flame trophy during the formal conferment ceremonies in September 2019. Guided by the theme “Beyond Excellence”, a Metrobank Foundation Outstanding Filipino renders service above and beyond his/her call of duty. Their accomplishments must have inspired and influenced their peers as well as the people in their respective communities. Their works must have transformed a community with a lasting positive impact on people and to the country. 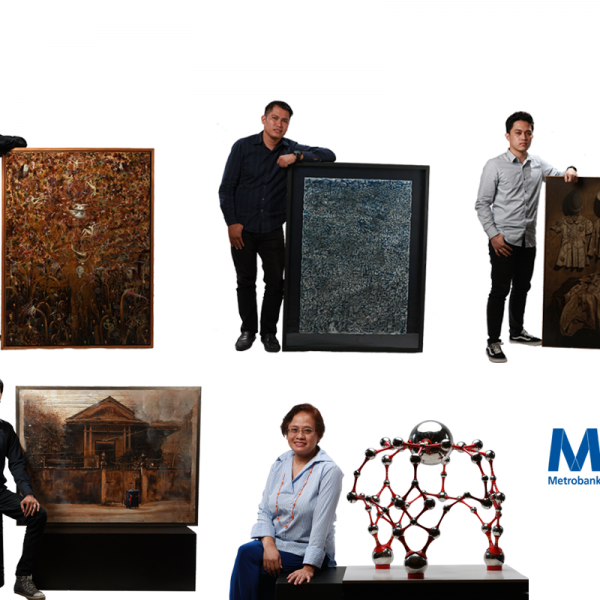 To date, the Metrobank Foundation has honored a total of 665 Outstanding Filipinos. “We believe that achievements, which resulted to positive change, or innovations that addressed major societal problems should be highlighted and widely acknowledged. 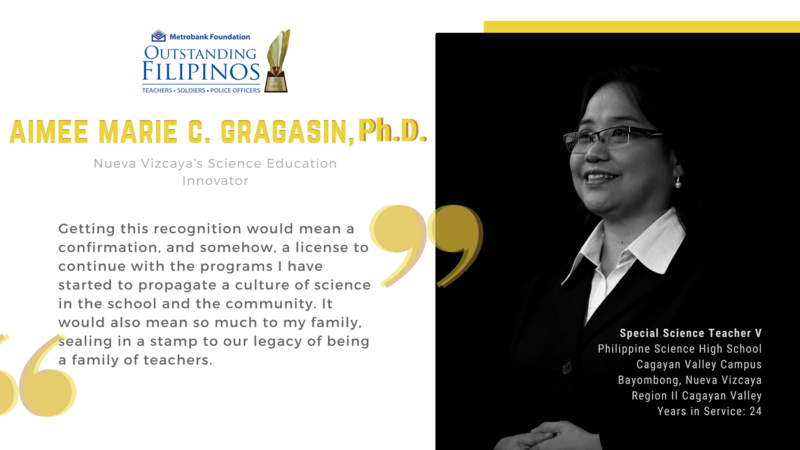 By doing so, we hope to create a ripple effect that would inspire other people, especially their colleagues in their profession, to follow in their footsteps,” Sobrepeña said. Also present during the launch were USec. Tonisito Umali, Esq. ; USec. Annalyn Sevilla; USec. Victoria Medrana-Catibog; ASec. 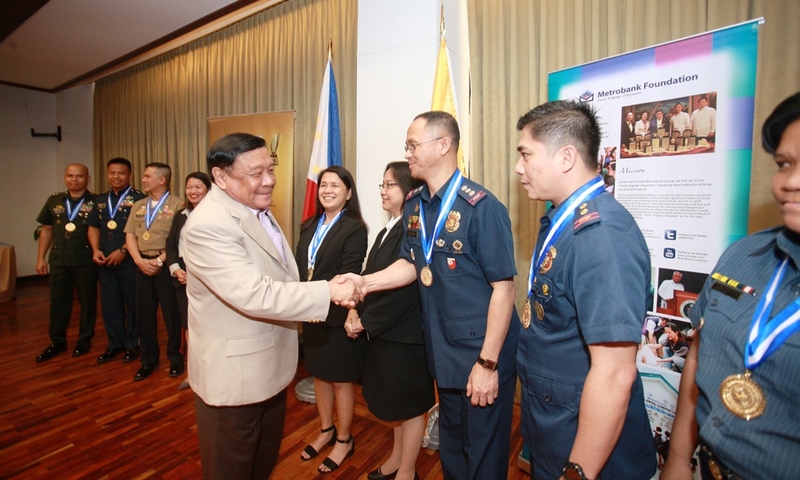 Alma Ruby Torio from DepEd; PNP DPCR police director Eduardo Garado; 2019 RCNME COPS chairman Claro Lorenzo Baarde; Metrobank Foundation Outstanding Filipinos past awardees MGen Restituto Padilla (2009); MGen. Arnold Mancita (2010); CMSgt. Nelson Mercado (2011); BGen. Maxima Ignacio (2015); Mrs. Jennifer Rojo (2017); Col. Elmer Suderio (2017); Dr. Carla Dimalanta (2018) and PS/Supt. Pascual Muñoz (2018). Through a nomination-based process, teachers, soldiers and police officers who are eligible to join must have a minimum of 10 years of service with at least “very satisfactory” rating in the last decade. Those who are set to retire must have at least three (3) remaining years of service. All eligible nominees must have exhibited good moral character and must not have been charged guilty in any administrative or criminal case. Teachers in the elementary, secondary or alternative learning system must have full teaching load and must have completed academic requirements for Master’s Degree while tertiary and graduate teachers must have attained a Doctorate Degree. Eligible AFP commissioned officers (Captain to Colonel) must have completed a bachelor’s degree while AFP enlisted personnel (Corporal to Chief Master Sergeant) must have completed at least a High School Degree. Finally, PNP commissioned officers (Police Inspector to Police Superintendent) and non-commissioned officers (Police Officer 2 to Senior Police Officer 4) must have completed a Bachelor’s Degree. 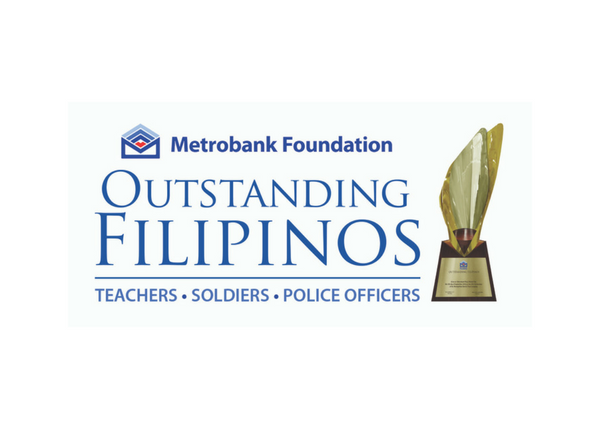 The nomination form and detailed guidelines are now available via the MBFI website at www.mbfoundation.org.ph, Metrobank Foundation Outstanding Filipinos Facebook page or through the link http://bit.ly/OFAward. Deadline for nominations is on January 18, 2019. For further inquiries, email the secretariat at outstandingfilipinos.mbfi@gmail.com, telephone us at (02) 898-8898, (02) 857-8757 and (02) 945-7006 or contact Kristal Todcor (09258303717/ 09777236205) for teachers, Third Salang (09228038948) for soldiers, and Ernest Macapagal (09267080276) for police officers. 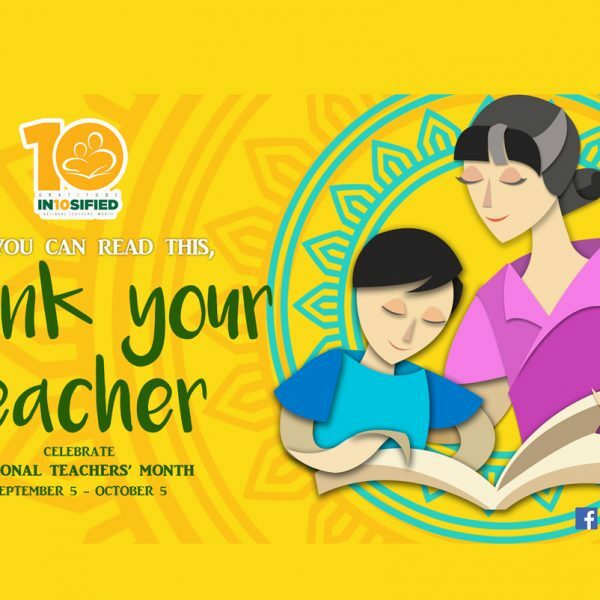 This 2018, the National Teachers’ Month (NTM), celebrated from September 5 to October 5, marks its 10th year milestone anniversary with the theme “Gratitude In10sified”. This year, the goal is to intensify all efforts honoring our teachers by encouraging various stakeholders to express their gratitude through the 4 As of Gratitude: Appreciation, Approval, Admiration, and Attention. The 4 A’s of Gratitude: Appreciation, Admiration, Approval, and Attention. The NTM movement started in 2008 when former DepEd secretary and currently De La Salle Philippines president Br. Armin Luistro approached Metrobank Foundation president Aniceto Sobrepeña and proposed the idea of a month-long observation to heighten public consciousness and participation in the World Teachers’ Day celebration every October 5. Other organizations were then invited to spearhead the celebration, then called the Teachers’ Month Campaign (TMC). Over time, the campaign has become a multi-sectoral movement—specifically engaging sectors which work closely with teachers. The movement have also seen growth in numbers, eventually becoming the nationwide celebration as it is known today. Since its inception 10 years ago, NTM marked several milestones: in 2011, Presidential Proclamation No. 242 was signed, formally declaring “the period from September 5 to October 5 of every year as National Teachers’ Month.” With its issuance, TMC formally became National Teachers’ Month. On its 10th year, the NTM Coordinating Council—composed of various government agencies, educational institutions, private companies and non-government organizations, all sharing in the advocacy of appreciating teachers—has adopted 10 major activities in collaboration with various organizations. Dubbed as the 10 Acts of Gratitude, these activities will showcase the Council members’ unique expressions of gratitude for our teachers. 1.TEACH FOR A DAY – in partnership with Teach for the Philippines, this activity will feature professionals who will spend a day teaching in classroom together with a Teach for the Philippines Fellow. 2. TEACHER DAY OUT – in collaboration with various museums, teachers will have their educational tours in these museums for free. 3. NTM LECTURE SERIES – Around 150 teachers will get to attend a three-day lecture series covering various topics on cyber-education to be facilitated by SEAMEO-INNOTECH, Globe Telecom, Smart Communications, and World Vision. 4. 39TH MANILA INTERNATIONAL BOOK FAIR – teachers visiting the 39th Manila International Book Fair from September 12 to 16 will get to enter for free at the Hall 1 entrance of SMX Convention Center in Pasay City. An NTM Booth managed by the Metrobank Foundation will be set up at the Hall 1 entrance wherein everyone can participate in the activities while teachers can get a chance to win prizes. 5. ALTERNATIVE NATIONAL SEMINAR CONFERENCE – hosted by Government Service Insurance System (GSIS), this seminar-conference will focus on the theme, “Educator’s Life Care Conversation, Artshop, and Playshop Conference”. Around 300 teachers will be invited to attend this free 3-day conference. 6. TEACHER QUALITY FORUM – Philippine Business for Education (PBED) will host this one-of-a-kind forum which highlights the state of teacher quality in the Philippines, as well as global innovations and trends in teacher development. The forum will also serve to pave the way for crafting concrete policy recommendations for raising teacher quality in the country. 7. NTM DIGITAL CAMPAIGN – this month-long digital campaign will highlight the culture of gratitude for teachers on social media. The official hashtags #ThankYouTeacherPH and #2018NTM shall be used. 8. 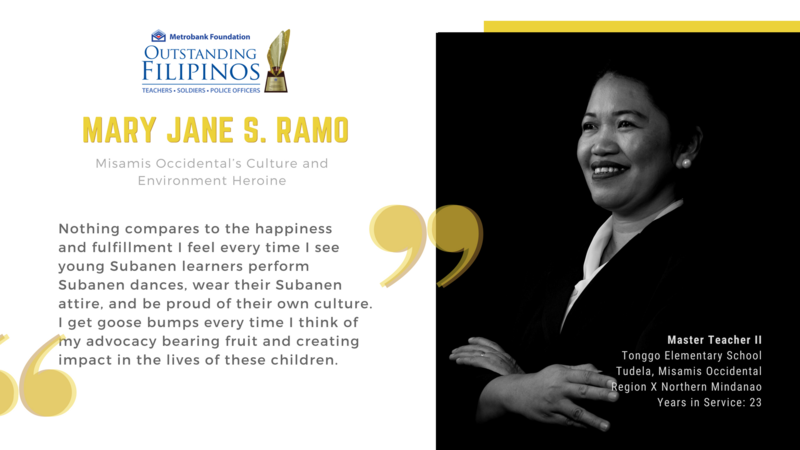 “SALAMAT PO, TEACHER” LETTER WRITING CAMPAIGN – in this campaign, Philippine Postal Corporation (PHLPOST) seeks promote a culture of appreciation for teachers through letter writing. On another front, PHLPOST releases a specially-designed NTM stamp which the public can use when they mail their letters. 9. 10 TEACHERS, 10 YEARS – the proposed online series by Rappler.com will highlight 10 extraordinary teachers celebrating their 10th year in service this 2018. 10. PERSONALITIES SAY “THANK YOU” – in this AVP series, executives, influencers, and key personalities from various companies and organizations will have an opportunity to say “Thank You” to their mentors and share what important lessons they have learned from them. Another highlight of the annual NTM celebrations is the Teachers’ Treats offered from September 5 to October 5. Throughout the month, teachers get to enjoy exclusive treats and discounts at various establishments throughout the country. 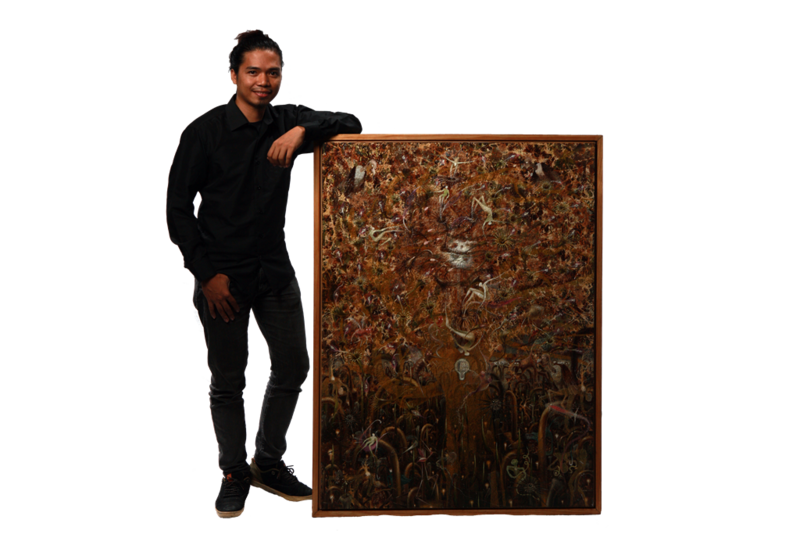 Teachers will once again get to enjoy free entrance and tours in participating museums in Metro Manila like The Mind Museum, Museo Pambata, Ayala Museum, Yuchengco Museum, and Metropolitan Museum as well as museums outside Manila like Museo Orlina, BenCab Museum, and Museo Kordilyera. Teachers will also get to enjoy exclusives like free admission to events like the 39th Manila International Book Fair and the “Panoramic Endeavors” Lecture Series by Metrobank Foundation and the United Architects of the Philippines. Participating restaurants and retail establishments will also offer treats and discounts on products and services. As NTM’s culminating event, the Department of Education brings the 2018 National Teachers’ Day celebrations to Region VIII. Ormoc City will host the biggest gathering of teachers on October 5 wherein 6,000 teachers will gather for a day of entertainment and tribute. This year’s theme “Gurong Pilipino: Turo Mo, Kinabukasan Ko” puts spotlight on Filipino teachers as catalysts of empowering learners to realize their potential and achieve their life goals. 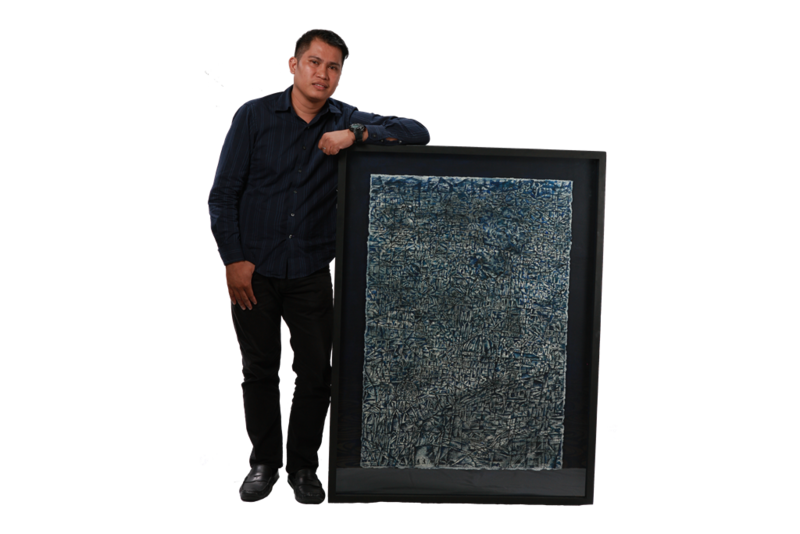 Bulaceño artist Francis Eugene Andrade’s “The Sacrifice” grabbed a Special Citation for its remarkable message tackling a mother’s undying love for her children. 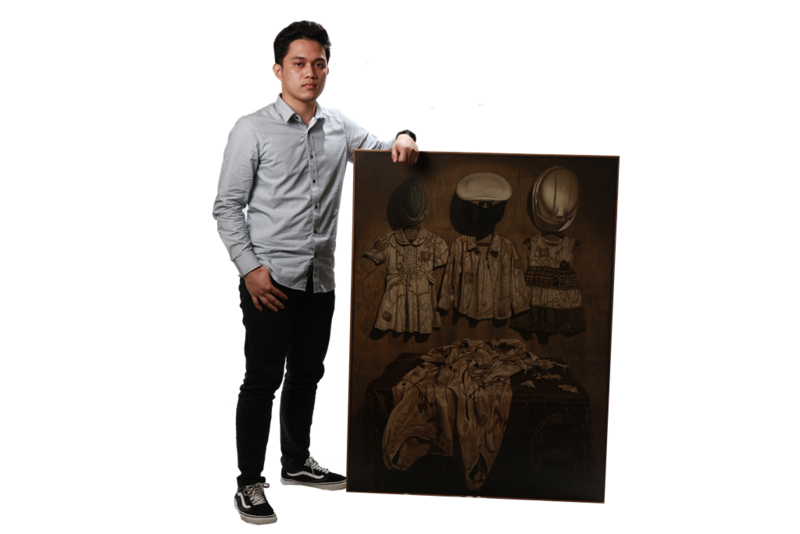 The piece is a domestic portrait evoked through the symbolism of clothings. A mother’s silken dress, crumpled and dejected, is draped on the cover of a sewing machine while three clothes paired with hats depicting the children’s occupations are displayed on the wall. 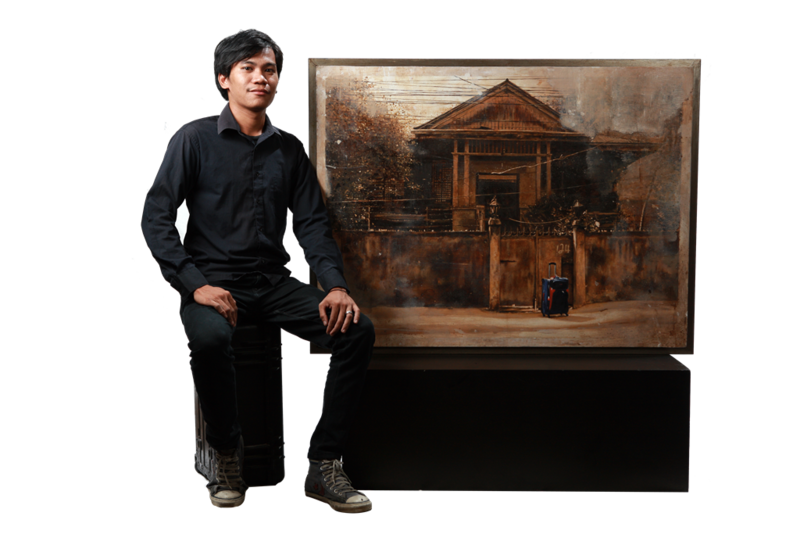 Completing the trio of artists from Iloilo, Roland Llarena’s “The Diminishing Memories of Home” touches upon notions of departure. Maria Ronna Lara-Bes won this year’s Grand Award for the Sculpture Recognition Program with “Interconnected,” a medley of spheres and lines symbolizing binding ties. With three equidistant spheres representing Luzon, Visayas and Mindanao as a base, the indoor sculpture is interconnected by “stems” inspired by different indigenous fabrics and stainless spheres of varying sizes that serve as vital connecting nodes of the composition. 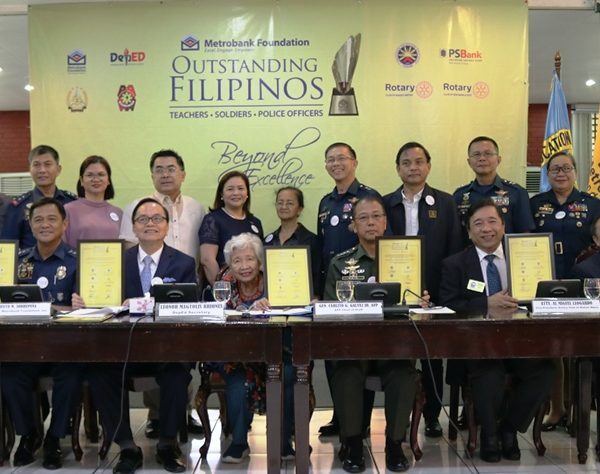 The Senate of the Philippines honored this year’s Metrobank Foundation Outstanding Filipinos—consisting of 4 teachers, 3 soldiers, and 3 police officers—in a plenary session held last September 3, 2018. The 17th Congress passed Resolution No. ___ authored by Senator Juan Edgardo “Sonny” M. Angara, chairperson of the Final Board of Judges, Senator Maria Lourdes Nancy Binay-Angeles, Senator Francis Joseph “Chiz” G. Escudero and Senator Gregorio “Gringo” B. Honasan II to commend the achievements of the awardees. Senate President Vicente “Tito” C. Sotto III led the ceremonies. Teacher awardees are: (1) Mary Jane S. Ramo of Tonggo Elementary School (Tudela, Misamis Occidental); (2) Dr. Alma S. Janagap of Pavia National High School (Pavia, Iloilo); (3) Dr. Aimee Marie C. Gragasin of Philippine Science High School-Cagayan Valley Campus (Bayombong, Nueva Vizcaya); and (4) Dr. Carla B. Dimalanta of the University of the Philippines-Diliman (Quezon City). 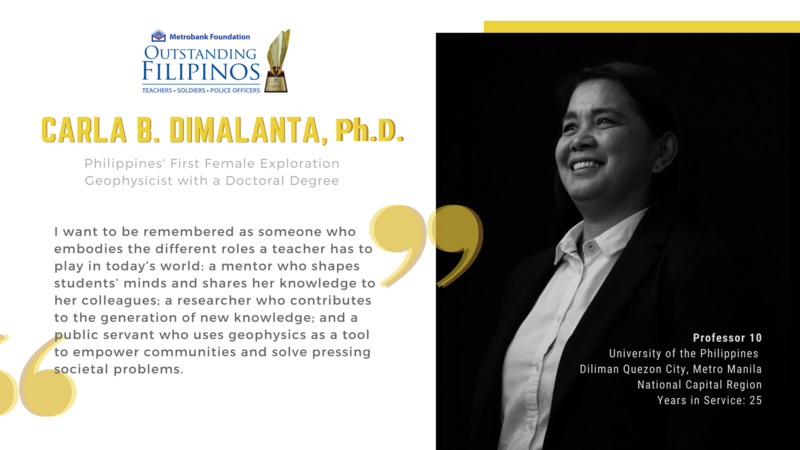 Dr. Dimalanta, Philippines’ First Female Exploration Geophysicist with a Doctoral Degree, delves in researches that provide answers to geoscientific problems in the Philippines, such as assessment of landslide hazards, investigating gold mineralization, and identifying sources of groundwater for coastal communities. 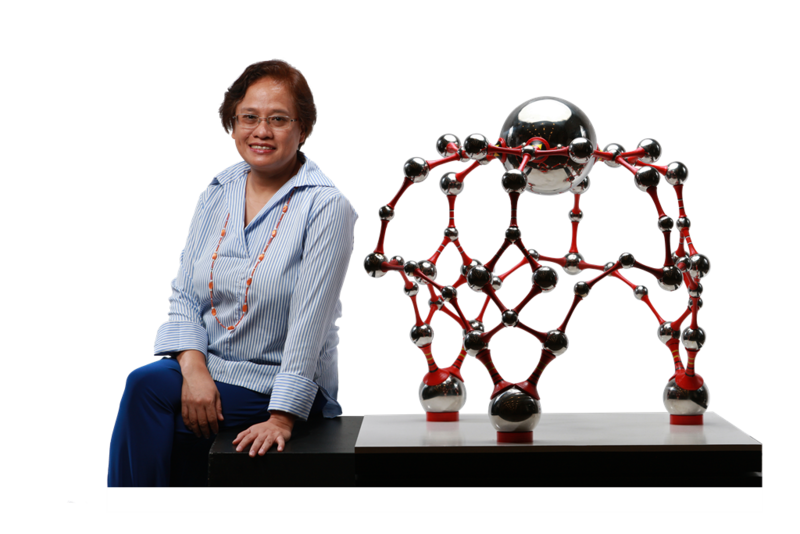 A professor in the UP Diliman, her works on climate change and disaster risk reduction are integrated into UP’s General Education classes. 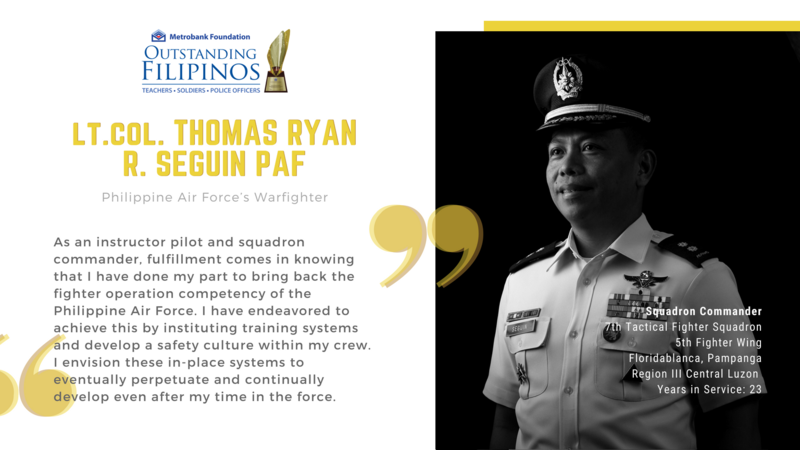 Dubbed as Philippine Air Force’s Freedom Warfighter, Lt. Col. Seguin was among the dauntless few who directed aerial missions instrumental in scoring back victory against the Maute group during the five-month-long armed conflict in Marawi last year. Outside his usual duty, he spearheaded the planning and implementation of the Adopt-a-Barangay program for the Aeta community of Barangay Nabuclod in Floridablanca, Pampanga which provided the community a supplication of potable water system, medical and dental services, feeding programs, tree planting activities, and the occasional children’s parties and storytelling activities. PS/Insp. 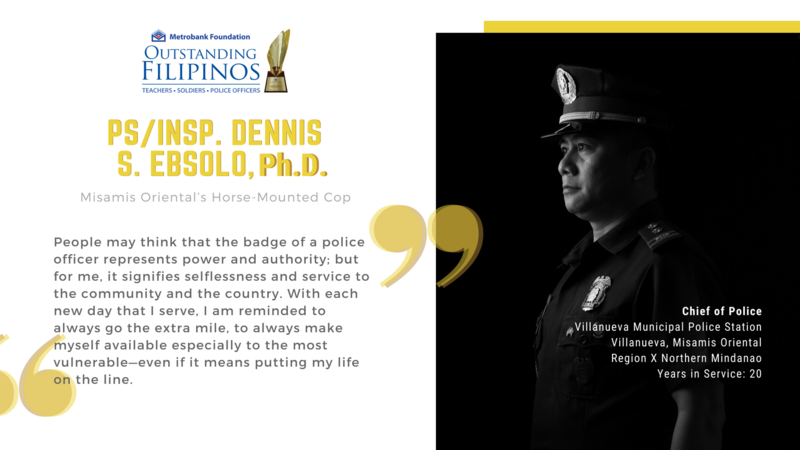 Ebsolo, Misamis Oriental’s Horse-Mounted Cop, initiated the use of horses in patrolling the hinterland barangays covered by the Cagayan de Oro Police Station 8. It was instrumental in the arrest of numerous robbery and murder suspects, and the capture of high-profile drug offenders involved in elusive trades within the province. Beyond his command office, he spearheaded the Suroy Bata (loosely translated as “Fieldtrip for the Children”) which lets the entire police force treats the children—coming from lumad families and marginalized communities in the hinterlands—to a day of learning and enjoyment by touring them to places in the Cagayan de Oro metropolis. 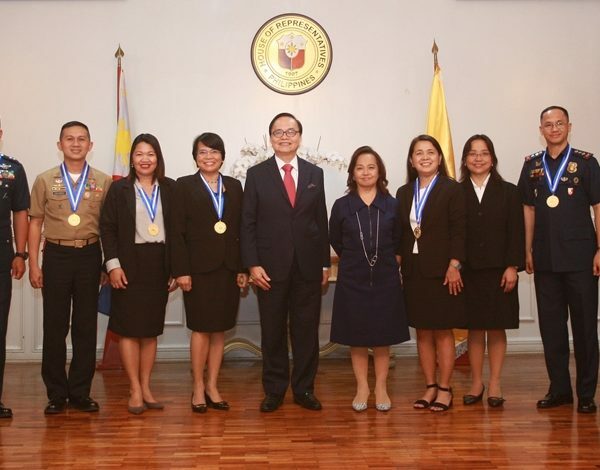 The awardees were chosen by the distinguished members of the Final Board of Judges chaired by Senator Angara and co-chaired by Supreme Court of the Philippines Associate Justice Noel G. Tijam. 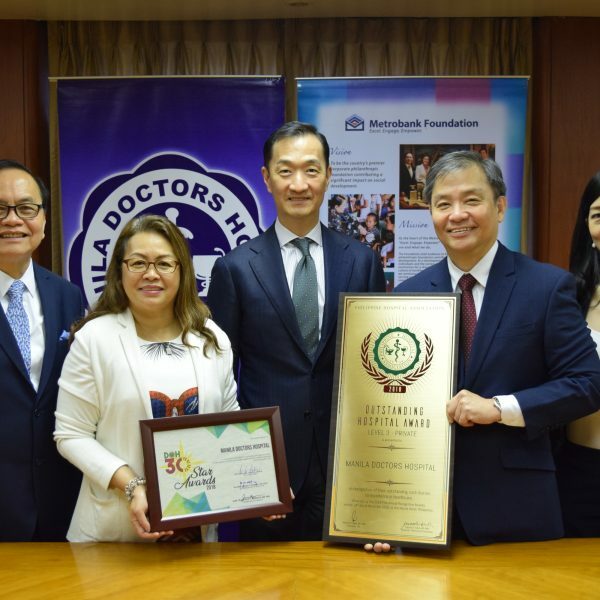 The other members include: Department of Justice Secretary Menardo I. Guevarra, Makati City Mayor Mar-Len Abigail Binay-Campos, De La Salle Philippines President Br. Armin A. Luistro, Philippine Business for Social Progress Chairperson Manuel V. Pangilinan, Rockwell Land, Inc. President & Chief Executive Officer Nestor J. Padilla and veteran journalist Ma. Teresa “Marites” B.Vitug. 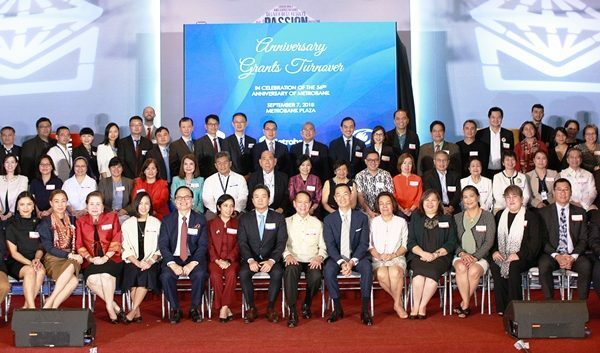 Each 2018 Metrobank Foundation Outstanding Filipinos will receive a cash prize of P1 million each, a gold medallion, and a trophy during the 56th anniversary celebration of the Metropolitan Bank & Trust Company (Metrobank) on September 7, 2018 (Friday) to be held at the Metrobank Plaza Auditorium, Sen. Gil Puyat Ave. Makati City.